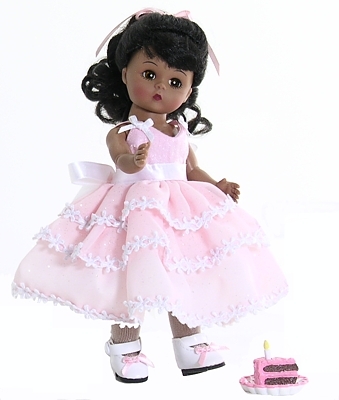 Happy Birthday doll is dressed in a pink sparkle party dress with tiers trimmed in white. She carries a delicious slice of birthday cake. She has dark hair and brown eyes.